We want you to know about who you’re buying from. We want you to feel that attachment to the product and to the hands that created it. NOVICA has a large collection of items such as sterling silver jewelry, earrings, and necklaces. It took me over an hour browsing the store to pick something out to review for you guys. Not because I couldn’t find anything but because I had a hard time narrowing it down to one thing. I looked through the jewelry section but decided I really wanted to review some type of apparel. I decided on this cotton blouse called “Flowing Nature” designed by Jariya Kakaew from Thailand. When I received the package my first thought was how heavy the blouse was. When I think of cotton I don’t think of heavy. My second thought was WOW I didn’t realize how big this was going to be as it was a one size fits all type of thing. However after trying it on and taking this photo I really love how it looks. My son did ask me if I was wearing a poncho but I think it looks stylish and fun. This is a great shirt for a dinner date or movie trip with my hubby. In fact I will have to where it when we use the movie tickets I picked up from one of those deal sites, groupon or living social I can’t remember which one it was. NOVICA really has items for everyone, jewelry and clothing is just the tip of the iceberg. You can find home decor, games, paintings, mirrors, and kitchen ware. Even these categories is limiting what you can find. 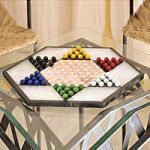 I LOVE this Chinese checkers game, it brings back memories of my grandmother, and would look really nice on our cocktail table in our living room. 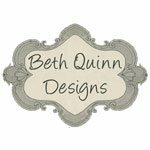 If you are looking for a gift and have no idea what you want but have a price range they have an easy gift finder in which you can select, gifts for her, gifts under $30, corporate gifts, etc. I love sites that allow you to narrow your chose by amount. I usually have an idea of what I want to spend even if I don’t know what I want to buy. If you would like to support designers in a specific region you can also narrow your search by region. Overall my experience with NOVICA was pleasant and interesting. I can only say that I truly love how they highlight designers and artisans from all around the world. Giving you the ability to purchase something in a style you may not see at your local department store. To enter to win: Visit NOVICA and tell me which item you would like to use your $30 gift card towards should you win. See Official Rules. Giveaway will end on April 13th at 11:59 pm EST. Open to US Only. I’m not entering the giveaway, but I was going to say you could put a belt around that top and it would look really cute! I am a follower. Hard choice I think I would get a chess set. I’d get the Garnet and pearl dangle earrings, ‘Sunrise Spirit’. Ooh, I love the Lapis lazuli long necklace, ‘Majestic’. Pretty pretty! I LOVE the Sea of Sapphire Batik Robe! I like the Sandstone Sculpture – Pensive Woman. I like the onyx anklet, midnight grace. I like the owl and garnet necklace.Thanks for the chance. I would get one of the chess sets! I’d like to have the Pearl Wrap Bracelet-Garland. I would use it to get the Wood game – Labyrinth Intrigue….although there is so much to look at, I found lots I’d love to buy! Love the Llamas wool rug. Thanks! Like Novica on FB (Contest KAO). Thanks. I’d get the Pearl and agate cluster earrings, ‘Elixir’ and the Pearl and serpentine cluster earrings, ‘Elixir’. I love the glasses and pitchers from Efren & Javier, I would probably get the ‘Tall Cobalt Spiral’ pitcher or something similar. I “like” NOVICA on Facebook (Jane Eileen). I like the Tropical Orchard earrings! I love their open leaf cuff! I follow Novica on Twitter @Melahelen! 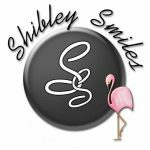 I follow Shibley Smiles on Twitter @Melahelen! The beaded pendant necklace, ‘Gumdrops’ is super pretty and I don’t have any turquoise so this would be nice. I “LIKED” NOVICA on FAcebook!! I left a comment on your Chili post – congratulations!!! I FOLLOWED NOVICA on TWITTER! I’d get the lotus pond ceramic soap dishes. the Iron and glass candleholder, ‘Solar Wind’ would be a great addition to my laundry room! Thanks for the giveaway! I would like to buy the Sterling silver hoop earrings, ‘Lavish Bali’ from Novica. I would probably put it towards the Murano handblown vase, ‘Carnival Colors’. I’d love to use it towards this: Kpalogo drum, ‘Invitation to Dance’! I would get the jasmine blue batika scarf. Its beautiful. Love Sterling silver wrap ring, ‘Hill Tribe Sun’! I think I’d get the Cotton blouse, ‘Flirt in Onyx’! I’d love to get the Prasiolite pendant necklace, ‘Lime Teardrop’! I like Violet Romance Earrings. I need a new handbag, so I would probably get the Hmong Pride Cotton Shoulder Bag. 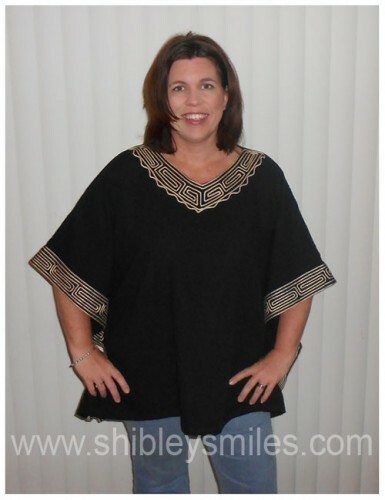 Love the summer sonnet tunic! I’d like to get the Liquid Confetti Tumblers. I just LOVE Novica – in fact there are nearly 275 items currently on my Wish List! If I won this giveaway I think I would spend the GC on a Wood Sculpture that I just love called “GRACIOUS” by a very talented artist in Thailand, Ning Charoensri. I would love to give this exquisite work of art to my 88 year old Mom for Mother’s Day. I would love to have these gorgeous bobbles: Garnet and peridot earrings, ‘Tropical Garland’ Product ID: 147955! I would like to use it towards the Pearl strand necklace, ‘Sunset’ by Sasina (Thailand). Thanks for the giveaway…we would go with the Wood chess set, ‘Flowery Turtle’, @ NOVICA !